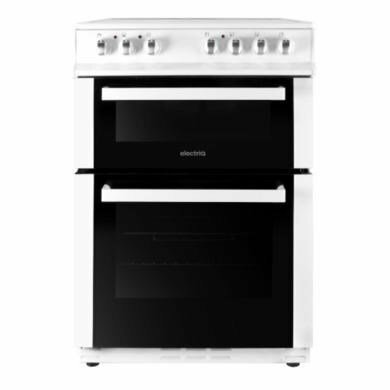 This 60cm white electric double oven from electriQ provides you with cooking flexibility with a full-fan main oven, a top oven with a grill as well as a stylish ceramic hob. 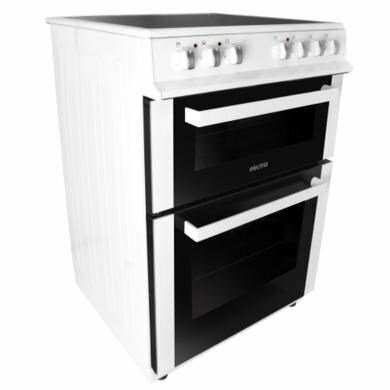 Other features of this freestanding cooker are an included grill pan handle set, an oven light and a main oven thermostat. 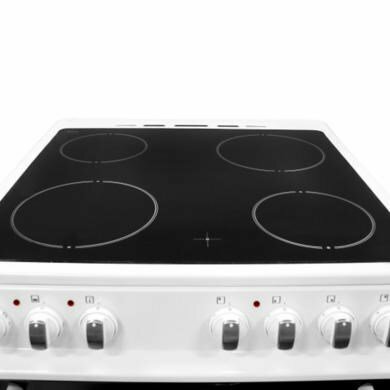 This cooker comes with 7 cooking functions so that you can cook a variety of meals with different methods. 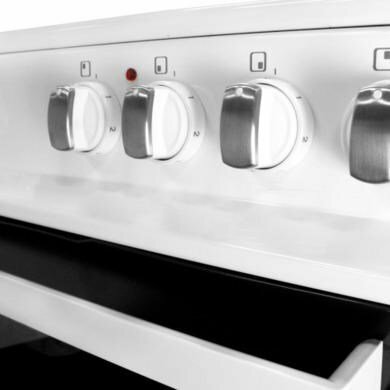 With the functions spread between the top and main oven, this cooker allows you to take full advantage of the grill, top oven and fanned oven. One of the functions is a defrost feature that provides a more hygienic and quicker way to thaw food without having to leave it on your counter top. 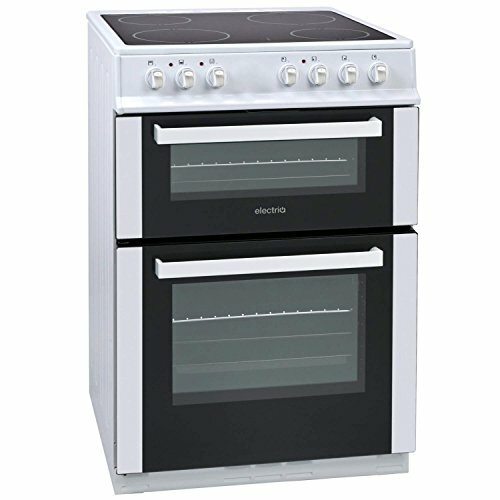 This 58 litre electriQ main oven uses fan cooking to deliver through and even cooking results. The fan fill the cavity with consistent and even heat so that each dish gets cooked at the same temperature and from all sides. 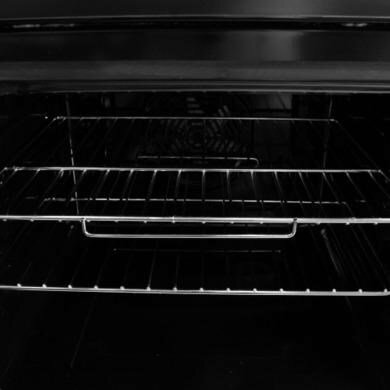 An oven thermostat for the main oven ensures the temperature is controlled and maintained for accurate cooking results. 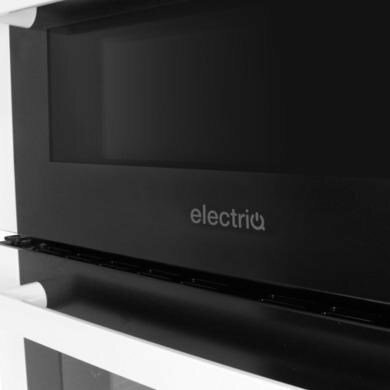 What makes this electriQ cooker exceptional within its price range is that it has an oven light. This will help you to monitor your cooking without having to disturb the temperature by opening the door. The 36 litre separate grill is a great way of making a smaller meal or quick snack without having to use the larger main oven. A grill pan handle set is included as an added bonus, which will save you having to fit one that fits.